Three weeks ago, MBCF’s partnership with Barcelona Beer Festival saw a range of beers from five Spanish Breweries arrive at Manchester Central. We were also pleased to welcome brewers from Dougall’s, Bidassoa and Quer breweries to the festival. These two beers will shortly be travelling out to Barcelona Beer Festival which opens on 4th March, but you can taste them first when they are launched at The Smithfield Market Tavern (Swan Street, Manchester) on Tuesday 16th February. 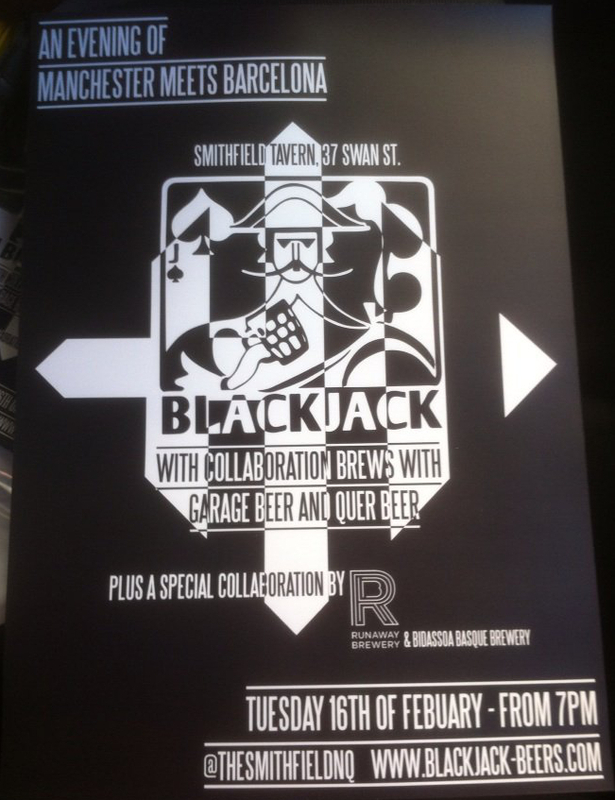 Also on the bar will be the third MBCF / BBF collaboration beer, Blackjack’s collaboration with Barcelona’s Garage Brew Co which was brewed in Manchester on 3rd January and thus far has only been available at MBCF16.